Because I Said So Goes Digital! Get the First Copy of My Book! It's here! Finally! After months of waiting, dozens of SSOs, 4982 PB&Js and about a million loads of laundry, the official day of my book release has arrived. Of course, as Murphy's Law would have it, my book has arrived in the middle of a RECESSION. With that in mind, I wanted to do something fun for my faithful readers who can't afford to drive all the way to Chicago for my official book launch party. This week, I'm offering two people the chance to win an exclusive, digital copy of the first chapter of my book, Because I Said So, signed by me and my kids. To enter, all you need to do is sign up for my mailing list. I'll draw two names from the list this Friday, April 3rd. Just fill out the form below: (If you've already subscribed, don't worry. You're automatically entered into the drawing.) And yes, I promise to keep your information strictly confidential. It will never be shared, used for spam, or even bartered for rum or chocolate. Honest. Get Book News & Updates from Dawn! My kids went back to school today! You'd think that things would've settled down here, huh? Notsomuch. Here's my son Clayton. He's 5. I know, I know, he looks much older, no? Austin drew a beard and mustache on him with black Sharpie. You know, because Austin's 14. And he doesn't know any better. Because he's only 14. Ahem. I made Austin scrub it off with baby oil and it worked fairly well. Clay only had a 5:00 shadow when he went to school this afternoon. This is Brooklyn eating her breakfast. Clay made her breakfast. Wasn't that sweet of him? Cheerios and whipped cream. No, I don't worry about her growth being stunted. Why do you ask? Brooklyn tried to fly today. I think Clay may have given her a little push. She did manage to get airborne for a few seconds. Unfortunately she landed face-first into the couch and got herself a black eye. Yep, it's just an ordinary day here. From Chicago, where it snows in the middle of a baseball game, it's Sunday Sound Out with Dawn Meehan! Tonight: answers to your questions and musical guests REO Speedwagon! And now, the woman responsible for bringing back parachute pants, leg warmers, and Clicker curling irons, it's Dawn Meehan! Is that awesome or what?! You can just scroll down and take a peek on my left side bar to grab the code to install your very own! Thanks Pulsepoint! You guys ROCK! If you haven't yet, you can order my book HERE! Order it, read it, love it, then email me and tell me how awesome I am. All the cool kids are doing it. Well, my kids have yet to tell me how awesome I am, but other cool kids are doing it! And thank you to the people who left such nice reviews about my book on Amazon! Do you guys know Jenny from "Jenny On The Spot" fame? Well, you should! She's absolutely hilarious! She cracks me up! And she likes glitter. I like everything about her. Well, except the fact that she runs. That's just wrong. 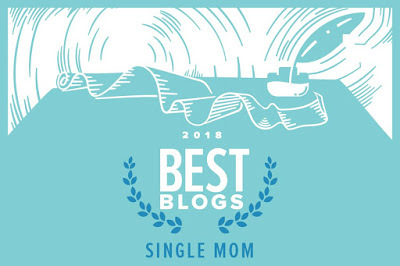 But she wrote up this great blog post about her, I mean, me! You have to check it out HERE! If you left a comment to win a Peek, check back HERE to see if you were one of the winners. You have such a gorgeous smile! How long did you wear braces as a kid? Thank you. 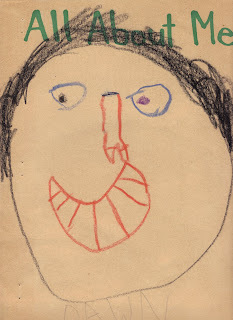 I had seriously messed up teeth as a kid because I was a huge thumb sucker. Don't you remember this picture? I don't really remember how many years I wore braces though. My question is....would you still write your blog if you thought noone was reading? Absolutely! No one listens to me when I talk here at home yet I continue to blabber on and on. I'd continue to write even if no one read it. In fact, when I first started my blog, I only had like 5 readers and yet I continued to post every day. PS: how was that Toast Brooklyn made you?? was she cooking it in the BBQ? Yummo!! Brooklyn and Lexi "cook" for me daily. I can't even tell you the amount of plastic food I've "eaten" in the past year. Let's just say that if it was real food, I'd weigh at least 600 pounds right now. Austin had the best line in your video blog when he reported that he was "cooperating" and appearing in your video blog. Typical 14 yo response. HA! You should've seen the first take! Because of his less-than-wonderful attitude, we had a talk about cooperation before shooting again. He and Savannah don't really want to be featured on a video seen round the world. I have to respect that, but I asked them to cooperate for the intro video at least. So...you are having a book signing, how exciting. 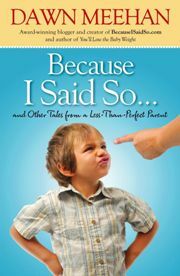 I'm sure you have seen the write up on their site "Come meet the next Irma Bombeck, Dawn Meehan, mommy-blogger, as she talks about and signs her new book, "Because I Said So." the next Irma- yowza! Yeah, and you know the first thing that came to my mind? They spelled Erma incorrectly! LOL! Yes, I'm having a book signing at The Book Stall in Winnetka (north of Chicago). Anyone within, oh say, 6 hours, needs to come to the signing!!! I have this fear I'm going to be sitting there twiddling my thumbs for two hours. Please come out and say "hi"!!! It's Saturday, April 4th from 2:00 to 4:00! YOU CAN GET DETAILS HERE! Should I just buy my book there so you can sign it? If I buy it from Amazon it may not arrive in time and then I'd have to stalk you for a signature - not cool. Tell me what to do. I think you should order at least 12 copies from Amazon to give to all your friends and if they don't arrive in time, you can buy another dozen or so from The Book Stall. What? I have 6 kids to put through college! I also thought we were hearing from your hubby Joe! I was kind of excited! I mean your friend Joe is a great writer, but why not let hubby Joe say a few things one of these days? Sorry to disappoint you, but Joe's not much of a talker and he's definitely not a writer. He's never expressed an interest in saying anything on here either. SSO- If asked, would you go on Dancing With the Stars?? ROFL! Ummm, no. I dance like Elaine. Only a little worse. And now for our musical guests, REO Speedwagon! ...when you spend too much time on the computer. I know, I know I haven't been posting on here too much lately. I'm sorry, but I was trying to hang out with the kids more this past week since they were home for spring break. I've also had a sudden surge in email with people writing to tell me that they've read my book and love it. That is the awesome kind of mail I love to get! But that, in combination with some articles and such I've needed to write had me chained to my computer on Friday. I had to ignore the kids encourage the kids to play with each other while I plowed through some mail. When I finally looked up from my laptop several hours later, this is what I discovered. Yeah, I guess they hadn't trashed the room too badly. a sippy cup full of cottage cheese, dirty socks and some green Play Doh ground into the carpet. Another cup with some nasty milk in it. A glob of Play Doh on the couch because when I tell Brooklyn, "Keep the Play Doh at the kitchen table" she thinks it means, "Squish it into the couch, carpet, TV, her hair, the bathroom floor, her highchair, inside the Cars DVD case, and pretty much anywhere else she goes." On the kitchen counter, we have a package of waffles left thawing out and getting dry and gross. Clay made himself 4 waffles. You know, because we have a 4 slot toaster, so why not? And let's not forget the glob of butter smeared on my kitchen floor. Here we have the empty waffle box. The garbage can is about a foot away, but clearly, Clay was exhausted from smearing the butter around with diaper wipes so he didn't have the energy to open the cabinet door and throw it away. Check back in later tonight for Sunday Sound Out! It's still spring break here and I'm trying to stay away(ish) from the computer and hang out with the kids. I've just got to say that although we're going through some tough times and changes, my kids have been AWESOME! I cannot say enough about Austin and Savannah right now. I've been so proud of both of them today! 2. Another way of saying "You got burned!" For example: Those shoes are so ugly. Not as ugly as you are. Oooo, you just got served! OK, well Clay has caught onto this. (You can always tell the little kids who have older brothers and sisters by their speech!) The only problem is, he doesn't know what he's saying. He says, "You just got deserved." For example: You can't throw. Oh yeah? Well you throw like a girl! Oooo, you just got deserved! No, you don't have a problem. You have many problems. Now, Austin and Savannah have adopted Clay's new saying into their vernacular. These guys just crack me up. Life would be so dull without them. I'm trying to stay away from my computer a little more this week since it's spring break in my neck o' the woods. (I didn't say I was doing a good job at it; just that I was trying!) 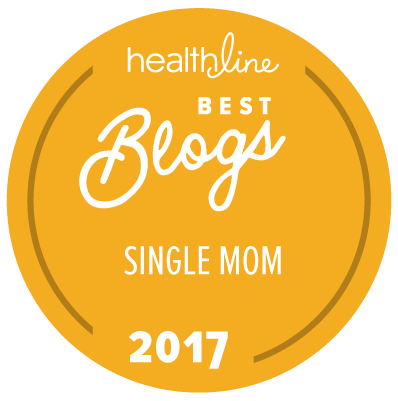 Anyway, tonight I have a guest post from a fellow writer, stay-at-home parent, and friend from high school. Meet Joe. Then check out his website! My name is Joe Konrath, and I'm a stay at home dad. I'm fortunate that my career--fiction writing--allows me to be home full-time with my son, whom I love dearly and whose name escapes me at the moment. My wife (I think her name is Maria) owns her own dog walking business. That means she's out all day, leaving the household in my care. So I'm responsible for the cooking, the cleaning, and helping our child with his homework, while also working as a novelist with seven published books. What's my secret? How can I balance being a good father and taking care of everything that needs to be done around the house with a lucrative career in the arts, while remaining happy, healthy, and stress-free? The answer is simple: I cut corners, do a half-assed job, and let things work themselves out. Because unless someone is bleeding so badly it doesn't stop after forty minutes, chances are I'm not really needed. 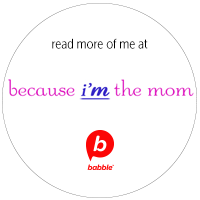 Here are my tips on how you can shirk as much responsibility as I do and still have a happy, healthy, somewhat stable child. Tip 1: Make the children become self-sufficient. One of my favorite photos of our son is from when he was three years old, making himself a peanut butter and jelly sandwich, his face covered with a good amount of each. A close friend of mine, also male, told me, "How can you make him do that himself? Are you so lazy you can't make a sandwich for your kid?" Yes. Yes I am that lazy. But that's not the point. Why should I make him lunch when he can do it himself? What is that teaching him? Especially when he can plainly see I'm checking my ranking on Amazon.com for the fifth time that day? My son is now eleven. He gets up and ready for school by himself, and as been doing that since Kindergarten. He makes his own breakfast and lunch. He also makes dinner for the family once a week, without any help from me, though I am nearby shouting helpful advice such as, "Don't burn yourself" and "Get the steak away from the dog and rinse it off, Mom won't know." Tip 2: If you're able to tune your children out, they quickly learn problem solving skills without you. These are skills that carry on into adult life. Skills such as putting on their own Band-Aids, basic grooming, laundry, and homework. Especially homework. I think I'm going to print up some T-Shirts that say, "I Am Not Google." I bet a lot of parents would buy them. Some tricks for tuning your kids out include: feigning sleep, pretending not to hear them, typing something at your computer when they walk into the room (this only works if you're a writer), and turning the tables by asking them what time they're making dinner tonight. Tip 3: Bribe them. Sure, learning responsibility helps build character and makes your kids into functional, well-rounded adults, but chances are they won't go for it unless they get an allowance. I currently pay my son nine-hundred and eighty dollars a week. Tip 4: Show them and tell them you love them. The more my son is able to help himself and take care of things around the house, the more quality time I'm able to spend with him, because I'm not locked into doing all of these things myself. For example, we just spent 18 hours together, father and son bonding while playing Resident Evil 5. Videogames gave us a chance to address some important family issues, such as: How many bullets to the head does it take to drop a zombified alligator, why we need to take turns holding the hand grenades, and how it was his fault, not mine, we lost that last boss fight because he was too busy opening crates to find extra health while I was getting chewed on. But, Joe, you may ask, what about house cleaning? Didn't you say earlier that you're responsible for the house cleaning? I am responsible for it, and it's totally my fault that the house cleaning doesn't get done. Usually my wife gets so sick of living in a pig sty that she spends her day off cleaning up. She's usually vocal about it, too, interrupting whatever videogame I'm playing with my son. JA Konrath is the writer of the Jacqueline "Jack" Daniels series of thrillers, each named after a drink. The sixth, Cherry Bomb, comes out in July. The books are equal parts humor and suspense, sort of a cross between Janet Evanovich and James Patterson. He's also the author of the horror novel, Afraid, written under the pen name Jack Kilborn. Afraid comes out March 31, and Joe insists its the scariest book ever written. But if you're a parent, there probably isn't much left that can scare you, so you should check it out. You can visit Joe at his website,http://jakonrath.com/. And check out my review and giveaway for a Peek email/texting device HERE! Well, it's official. I'm now a video-blogger for Guideposts! Check out the first episode HERE! There will be many more to come. Because no one got more than 4 (including the water) ingredients right, I randomly picked a winner for the $10 Dunkin Donuts card. Donna from PA who said.... "I love how you let us guess at these things! I'm going to say it's water, some sort of soap, mini marshmallows, rocks and some dirt? Whatever it is, it's pretty gross!Also, some advice if you're going to run away. . .try not to drive off of a cliff. We'd miss you waaaay too much! ;)Donna in PA :)"
Check out my review and chance to win a Peek email/texting device HERE! 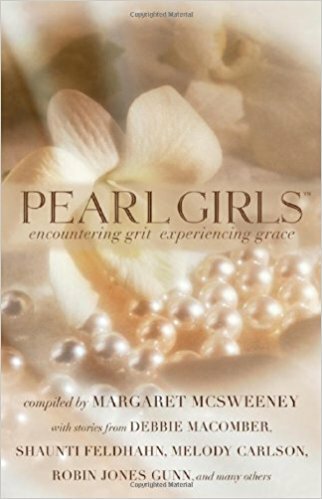 And, of course, you can still order my book HERE! From Chicago, where the weather changes fourteen times in one day, it's Sunday Sound Out with Dawn Meehan! Tonight: answers to your questions and musical guests Audio Adrenaline! And now, the Queen of Procrastination, Dawn Meehan! That shirt is awesome that your parents gave you. Do you know where they got it from? OK, my mom got the shirt from this place - http://www.fbcdesigns.com/. I know it doesn't look like she sells shirt, but my mom swears this is where she got it. what is that box next to you on the floor. It look like a rubics cube. It's a box that looks like a Rubik's Cube. LOVE this song,Dawn! Do you remember dancing to this song while pregnant with Austin at my wedding? I hope you are kidding about Brooklyn pooping out the Indiana Jones figure?! Nah, I wouldn't kid about that. Now if I said she pooped out a lightsaber, you can be like 80% sure I'm kidding. Uhhh stupid question but what's Ex Libris? You know those stickers you had as a kid that said, "This book belongs to...."? It's just a sticker I would autograph for you to put inside your book. 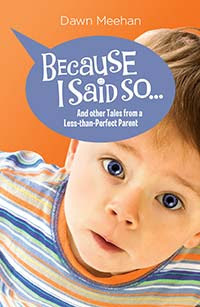 You know, the book that you've all gone and ordered so I can put my 6 kids through college. That book. What? You haven't ordered it yet? What are waiting for??? Go HERE, HERE, or HERE and get your copy now! All the cool kids are doing it! Did you find out why Indy was in Brooklyn's mouth to begin with? Because she couldn't find the marble-sized crystal skull. Wait - didn't Brooklyn just turn 3? Are you telling me that magic fairies don't come in the night to sprinkle no-more-choking dust on sleeping children on their 3rd birthdays?! Are you going to send the figurine to Harrison Ford? Let him know what fans the Meehan children are? Hmmm, do you think that would result in a restraining order? Has anyone contacted you to submit a story and/or be a permanent writer for ABC's new show "In the Motherhood"? Nope. I think it would pretty fun to work on my own sitcom! I'd love to see some family-friendly sitcoms out there. What ever happened to stuff like The Cosby Show and Full House and all those shows we used to watch? There's not a whole lot of kid-friendly programming out there today. The novelty of childrearing sort of wears off after 13 years, doesn't it? That's what I find, anyway. LOL!!! You crack me up, Suburban Correspondent! Have you ever posted your birth stories? I'd love to hear them. Nope. 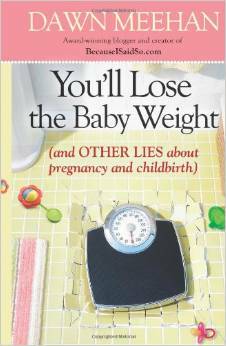 Thanks to pregnancy amnesia, it was hard enough remembering them for my second book which is about pregnancy! Here's a question for Sunday: at what age did your kids stop napping? I think all but Savannah gave up naps the day they turned 2. I cried each time. Seriously, naps are so wasted on the young. And to everyone who got my Pretty Woman reference in my "I'm Running Away" post, you're my best friends forever. And to all my high school friends who met me Friday for a fun night out reminiscing and having a great time, THANK YOU!!! This afternoon I decided I was going to run away from home. Brooklyn doesn't nap anymore and hasn't for a long time. However, she sometimes falls asleep in the early evening before bedtime. Then she'll wake up around 10:00 PM and be wide awake party-girl for hours. She did this last night. She finally fell asleep at 2:00 AM. No problem except I didn't get any work done last night, so I attempted to do it today. Big mistake. Big. Huge. Brooklyn was stroppy (I was talking to friend from across the pond last night. I'm being British today.) because she didn't get enough sleep last night so she spent the morning whining. I mean, more than usual. Clay saw this as an opportunity to make me insane bug her and make her scream all day. Those two usually get along smashingly. Because I was trying to work, Clay decided to do a 'speriment. This experiment of his consisted of filling a huge bowl with water. He did this in his bedroom. To this bowl, he added a variety of things. I was going to list them all, but I think it'll be more fun to make a contest out of it. I haven't done a gross food find contest in a while. Leave me a comment and let me know what you think he put in this 'speriment of his to win a $10 Dunkin' Donuts card. The first person to guess all the ingredients will win. Or if no one gets it right, the first person to guess the most ingredients will win. I'll announce the winner on Monday. When I saw it, I calmly asked, "CLAYTON!!! WHAT ON EARTH ARE YOU DOING?!!! I THOUGHT YOU AND BROOKLYN WERE PLAYING IN THERE! WHAT IS THIS??? WHY, WHY WHYYYYYY???!!!!" He looked at me, taken aback, then he proudly announced, "It's my 'speriment!" "Your 'speriment? What kind of experiment is this? Why did you do this?" "I wanted to see it explode," came his simple answer. "You wanted to see it explode? Did you think a bowl of [these ingredients] would explode???" "Brilliant." sigh "Clayton, what am I going to do with you? Take this outside please. Now." I basically accomplished nothing all day other than baking 50,000 cookies for Lexi's Brownie meeting tonight. It's International Night which means every troop selects a country and brings food to represent their country. At least I don't have to cook dinner tonight. Actually, scratch that. It was my goal to bake 50,000 cookies, but I only made about 50 because I had to stop too many times to yell at talk to the kids. I left Austin and Savannah in charge of the two little ones for ten minutes while I picked the middle kids up from school. I got two phone calls from Savannah while I was gone. Two calls in ten minutes. 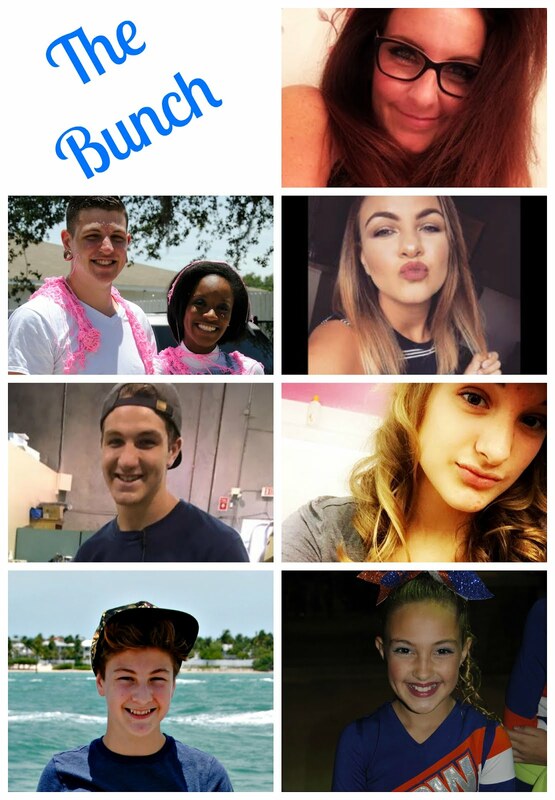 Two calls complaining that Austin was being mean to Clay and that Austin was hitting her. When I got home, both she and Austin were in tears. I learned my lesson years ago about trying to figure out who started it and who did what to whom. They were both sent to their rooms. On the bright side, I can count on one hand the times that those two have fought. They actually get along swimmingly. Unfortunately, the few times they have fought have been brutal. I may have to ground them until next year. When Lex got home from school and took off her coat, I saw that she was wearing a sundress. It was 40 here today. How did I not notice that this morning??? Oh yeah, I hadn't had my coffee yet. Her teacher must think I'm an idiot. Jackson had the orchestra presentation at school yesterday. You know, the one where they come in and let the kids try out the instruments and then say stuff like, "Don't you want to join orchestra? Tell your parents you want to join orchestra. Come on, all the cool kids are doing it. If your parents love you, they'll let you join." So Jackson's been badgering me non-stop about letting him join orchestra. I don't, quite frankly, have the money to put out on yet another instrument right now. Plus, I know Jackson and I know he'll get bored with it in a couple weeks. None of his friends are doing it and I know Jackson will be bummed about that. In order to join orchestra, you need to sign up for summer school. I don't like putting the kids in summer school. I like having free time over the summer. I like being able to pick up and go to the zoo, camping, vacation, field trips, picnics, parks, whatever. I know Jackson will be mad come this summer when he has to go to school, whether he admits it or not. And I know the other kids would be resentful that we couldn't take off and do anything because Jackson has to stay and go to school. Anyway, because I told him, "Not this year," he started throwing things around the house while telling me how much he hated me and what a bad mother I am. "You're the worst mom ever!" When Joe got home, I told him, "Have fun with YOUR children. I'm running away." Then I made a quick escape. Of course, a few minutes after I left, I got the text that Savannah's softball bag was in my van. She was on her way to practice. "I give up," I muttered to myself. I can't even run away for 10 minutes. 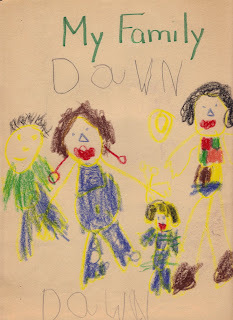 The first page - "All About Me"
As you can see, when I was in kindergarten, I had short black hair. And I bet you never knew I have one black eye and one purple eye. Oh, and let's not forget the fact that I had a chicken foot for a nose. Thank God for plastic surgery! Yes, I know I have a freakish joker-looking smile there. I think it's just because I was having so much fun drawing my self-portrait. page two - "My House"
Yep, back in those days, I lived in a teepee. With a chimney. And a giant letter "E" on the roof. And two windows. And a door that didn't go down to the ground. You had to kind of hop up into the teepee-house. I have no idea what the red thing is on the right. Maybe one of my giant red teeth fell out. page three - "My Hand"
Yep, it's my hand all right. Right after it was squished in a farming accident. And check out the nail polish job. Niiiice. If you look closely you can see rings on every finger. Or maybe those aren't rings. Hmmmm, it looks a little bit like I've drawn hair on my knuckles. Oh yeah, there's nothing quite so attractive as a 5 year old girl with knuckle hair. page four - "My Feet"
Yes, they're dirty. Even back then I liked to go barefoot. And they appear to be fused at the heel. I'm either about to step on some eyeballs or a caterpillar with a water spout on its head. Maybe my feet are supposed to be a butterfly in which case the clouds are a nice touch. 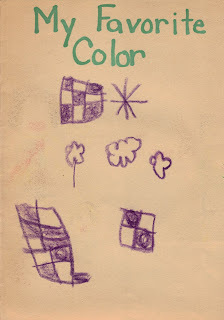 page five - "My Favorite Color"
Any guesses as to what my favorite color was? Anyone? Anyone? 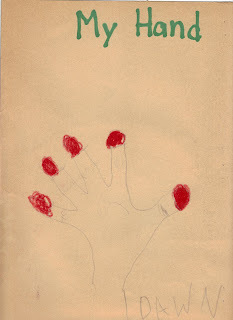 As you can see, I was highly creative back in the day. Assorted checkerboards, an asterisk, and um, hmmm, fluffy clouds? Sheep? Flowers? Purple popcorn? page six - "My Family"
Let me introduce you to my family. From left to right, we have my dad, Nick (yes, it's a very original Greek name, I know.) In reality he is not a foot shorter than my mom who is standing next to him. I'm not 100% positive, but I'm pretty sure my mom, Diana, never wore her lipstick like Bozo the Clown. And check out those earrings! Those babies defy gravity! And yes, her arms are coming out of her cheeks. I know, I know, you probably missed that little tidbit because you were too busy looking at her deformed hands. Next to my mom, is my sister Deb. 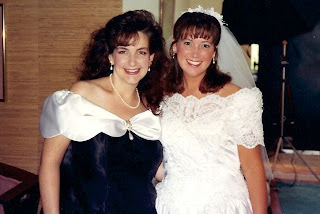 Now Deb IS almost 2 years younger than I am (despite the fact that I had my kids snowed into thinking I was the younger sister. Hee hee shhhhh! ), however, when I was in kindergarten, she did not come up to my knee caps. And finally, there I am. No, I'm not wearing any pants. Perhaps I thought that snazzy little patchwork number would blind people and they wouldn't notice the lack of pants. If people made fun of the fact I wasn't wearing any pants, I guess I could've just hit them with my club-for-an-arm. So, there you have it. Creativity abounds in me and I'm certain I'm responsible for passing these awesome genes down to my kids. While I was getting ready to go onstage for the matinee on Saturday, I suddenly had a bad feeling. I thought something bad had happened to one of my friends. This isn't unusual for me; I can sometimes just kinda tell when something bad has happened to someone close to me. It doesn't always work, but occasionally I can intuit these things. Anyway, I just got this bad feeling so I texted my friend to see if they were ok. They replied that all was fine. Not two seconds after I had texted them, Joe called me to say that Brooklyn was choking on a Lego Indiana Jones figure. She'd turned purple and was choking. Savannah smacked her on the back and Brooklyn ended up swallowing Indy. We'd already experienced the fun of seeing staples pass through Brooklyn's digestive system via xrays, so I figured we probably didn't need a repeat this time around. I told Joe to make sure she was breathing ok and rush her to the hospital if she started having problems. And then I just started digging around in her poop checking her diapers carefully to make sure, um, everything came out ok. Pun intended. Yep, who else would clean off a poop-covered Indy and take a picture for you guys to see? Oh stop complaining! At least I washed him off first! And for those of you keeping track - this is the third emergency-type situation where Indiana Jones was involved. First Lex was smashed under the garage door while trying to save Clay from the claws of death while playing Indiana Jones. Then, Lex fell off the bunk bed when she lost her balance dropping pillow boulders onto Clay while playing Indiana Jones. Now this. I'm sensing a pattern here. I'm about ready to break out the light sabers and encourage them to start playing Star Wars. It couldn't be much worse, could it? Wait, don't answer that. From Chicago, where the river looks looks like lime Jello, it's Sunday Sound Out with Dawn Meehan! Tonight: answers to your questions and musical guest Toad the Wet Sprocket! And now, skydiving legend, Dawn Meehan! I'm so sorry... I saw the first picture [of the play rehearsal] and immediately went 'huh?' I mean, what's that lady behind you doing with her leg up on the couch. Is that really what I see?Is it some kind of psuedo ballet dancer warming up for her part? LOL! Yes, she plays the part of a woman who wants to be a dancer, but isn't very good at it. Thanks for the info on Spanx. I also have a class reunion this summer (my husband's) to attend and this will hopefully help lots. Any recommendations on which size to pick so I do not pick the wrong one? It really doesn't matter what size is on the package label because they're all the same - XXS. You will need the jaws of life to get out of them. I realize I'm one of your older readers, and I'm not familiar with these spanx thingies. So I have a question - If they are snug enough to defy the work of gravity, can you still breathe well enough to say your lines and get the necessary projection for stage work? You know that scene in Pirates of the Caribbean where Elizabeth passes out from the too-tight corset? Yeah, that's what it feels like. On a different matter:Would you ever consider getting some Ex Libris stickers to personalize(briefly) and mail out to those of us who were here at the start of all of this? Sure, I would! I'll speak with my publisher about it. I directed this play [You Can't it With You] a few years ago, and it's really a blast. So... what song did you have to sing, and will there be a video posted of you warbling? I sang I'm in the Mood For Love as I threw myself at the poor Gman, lost my balance, and fell over the back of the couch. As far as video, I know the whole show was recorded. I'm not sure how to put a section from the DVD on here though. Hmmm, I'll have to look into it. It was so much fun! I always have a blast doing shows. We had a great, fun bunch of people to work with and I haven't laughed so hard in a really long time, but I've got to admit that I'm glad it's over. Now things can get a little more back to normal around here. I have a huge bruise on my leg today, not from falling over the couch, but from walking into the couch as I exited the stage in the dark. Duh. So now I'm confused, the diamond shaped building is not really the Prudential building? I grew up in Chicago and that has ALWAYS been the Prudential building. I dunno. That's what I always thought too! I guess that building is the Smurfit-Stone building. The Prudential building is across the street. your kidding about the river being dyed green right? Nope. Not at all. Here are some pictures and a video about it. 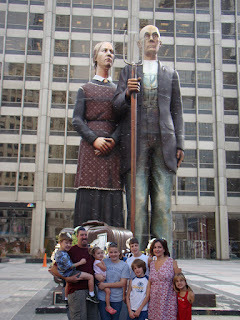 We need you to go back downtown and get a picture of you or some of your kids standing next the the American Gothic statue so we can see just how ginormous it is! How 'bout I just photoshop us next to it? What, no pictures of the "Willis" Tower? Willis Tower! Snort. It's the Sears Tower, it's Comiskey Park, and it's The Rosemont Horizon. Who are these people who think they can just change names like that? Grrr! So how did you feel about the interview in general? I think it went well! I forgot all about it and missed it this morning though. Did anyone listen to my interview on the MIX this morning? How was it? It just occurred to me that it was you birthday on Tuesday, wasn't it? Did you intentionally not mention it? Or do you just intentionally ignore birthdays? Eh, it was just another day. I learned something about my age this week: it stinks to be 39. No one believes you when you tell them you're 39!!! I might as well just skip ahead and tell people I'm 40. My publisher wants to know if you belong to any book clubs so they can be sure to include those in an author-chat promotion next month. If you belong to a book club, leave me a comment and let me know which one! Thanks! Today I went downtown for an interview with Susan from the MIX. Because I'm not so much a morning person, I turned off my alarm and promptly fell back asleep. Unfortunately, because of that, I missed the train and had to drive downtown. No problem. I just stopped by the bank, took out a second mortgage so I could pay for parking and headed into the city. I hate driving in the city because I can't stand inching along in traffic, I don't understand all the one-way streets, and I have a habit of getting lost. A lot. I hadn't looked up directions ahead of time because I was planning on taking the train, so I turned on my GPS and it worked like a charm until I got in the Loop at which point it started going all bonkers. "In 2.7 miles, turn left on Michigan Ave."
"In 4.6 miles, turn left on Michigan Ave."
How did Michigan Ave. suddenly get farther away??? I'm ON the nearest road!!! "In .5 miles, turn left on Michigan Ave."
"In 4.3 miles, turn left on Michigan Ave. What??? Now it's 4.3 miles??? Recalculating? Yeah, you do that! "in 800 yards, turn right." Right? I'm supposed to turn right now??? "In 680 yards, turn left on Michigan Ave."
Now we're back to Michigan Ave??? I took the GPS and chucked it out the window. Amazingly, I made it downtown, found a garage, and headed to the Prudential building where WTMX is located. 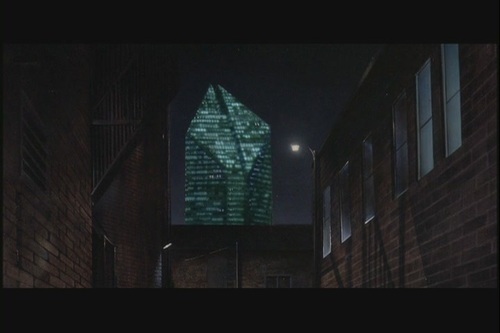 You know that diamond shaped building featured in Adventures in Babysitting? Across from the library? The Prudential Building? Yeah, that building there. I walked in and told the gentleman at the front desk that I had an appointment with Susan at the MIX. I repeated it for him. He looked at me like I'd just stepped off a bus from the middle of Kansas and had never seen a city before. "Isn't this 130 E. Randolph?" I inquired. "No, that's the Prudential building!" he said as if I was completely daft. "You mean, this ISN'T the Prudential building?" I asked just to confirm his suspicions that I was indeed daft. "That's across the street!" He pointed out the window. I followed his gaze and lo and behold right across the street was a building with a big sign that read "PRUDENTIAL". Yeah, note to self: read the signs on the buildings! I signed in at the real Prudential building and was directed to the elevators. "The MIX is on the 27th floor," the gentleman directed me. I walked over to a bank of elevators, got in, and noticed that they only went to the 15th floor. I pushed 15 and thought maybe there were elevators that went up higher from that point. Nope. I went back down and asked someone how to get to the 27th floor. She gave me the same "You're An Idiot" look that the guy in the other building had given me and then she pointed out that there were 3 separate banks of elevators and each section was labeled with the floors they went to. Who knew? So, I did my interview with Susan who was lovely and nice and I think it went fairly well. You can catch it on Mix Matters this Sunday at 7:00 AM on the Mix 101.9. I believe you can listen to it live Sunday morning by going HERE and clicking on the tab labeled "listen live". When I was done with the interview, I walked across the river to the PR agency that's working with me where I met a nice, interesting guy named Frank who taught me a few things about handling media appearances. That was a fun and informative meeting. He even had coffee waiting for me which was really nice considering my legs had gone completely numb by the time I got there. Crazy weather. It was 60 degrees a couple days ago and only 20 today. I was a couple days too early to see the river dyed green for St. Patrick's Day. The Tribune Tower - a bad picture of one of the coolest looking buildings in the city. When I left the city, my GPS was still doing that funky thing so I ended up at Navy Pier. I guess only folks from Chicago would understand that only an idiot could leave Ontario and manage to get to Navy Pier before hitting 90. Then I took a fun-filled drive on Lower Wacker. This really shouldn't surprise anyone though. In fact, when I walked out of both the office at the MIX and the PR agency, I got turned around and started going down the wrong hallway. Yep, that's me. Tomorrow I'm not doing anything but playing with the kids until I have to leave for the play I'm in. I've been too busy lately. I had rehearsal again tonight and need to get up early because I'm taping an interview in the morning for a show called Mix Matters on WTMX in Chicago. I hate to post another rerun because the kids have been acting especially crazy and getting into mischief and cracking me up lately, but I just don't have time to write about their goofiness tonight. So, here's another rerun from 12/07. Enjoy! Because I'm crazy-busy this week with the play and everything, I'm posting a rerun tonight. Enjoy! I'm presenting you with a short tutorial on art through the years. This involves using anything (i.e. yogurt, marker, diaper cream) as your medium and your body as the canvas. This involves random scribbling and can take place on paper or walls or furniture. The child draws people that basically look like potatoes with arms and legs coming out of the body. Eyes and a mouth are added at this time. Now people have distinctly separate heads and bodies. Hair (sometimes really, really long hair), noses, fingers, and shoes are added. 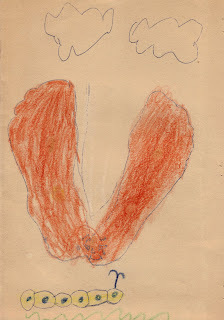 Girls may add, rainbows, stars, and hearts to their drawings at this time. Boys may add cartoon characters, blood and guts, or cars to their drawings at this time. This is where macaroni, sometimes colored, sometimes plain, is glued to various pieces of construction paper. If you're extra lucky, you'll get a necklace made of macaroni for Mother's Day. If you're not so lucky, yours will be the kid who likes to eat the glued macaroni off the page. At this stage, your child is excited that they're learning to read and write and they must make everything into a book. This is the second page in the famous book, The Friendly Ghost written by my son. This is where you have to really stretch your literacy skills and learn to read "kindergartenese". This says, " The ghost plays with his friends like the mummy." The pictures and color choices don't make a lot of sense, but they sure are fun to look at. 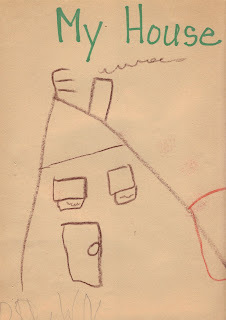 Here, the child starts getting some realistic elements into their drawings. This is a picture my daughter drew of me after I had collagen lip augmentation. Here's something from the Pokemon Phase my son went through. Here's something from the Star Wars Phase my son went through. Again, note the realism. Here is a candle holder made for me by my daughter. Here is vessel made by my son. It's perfect for holding cookies, pencils, or organs from mummified people. There you have it. Art from one to twelve.